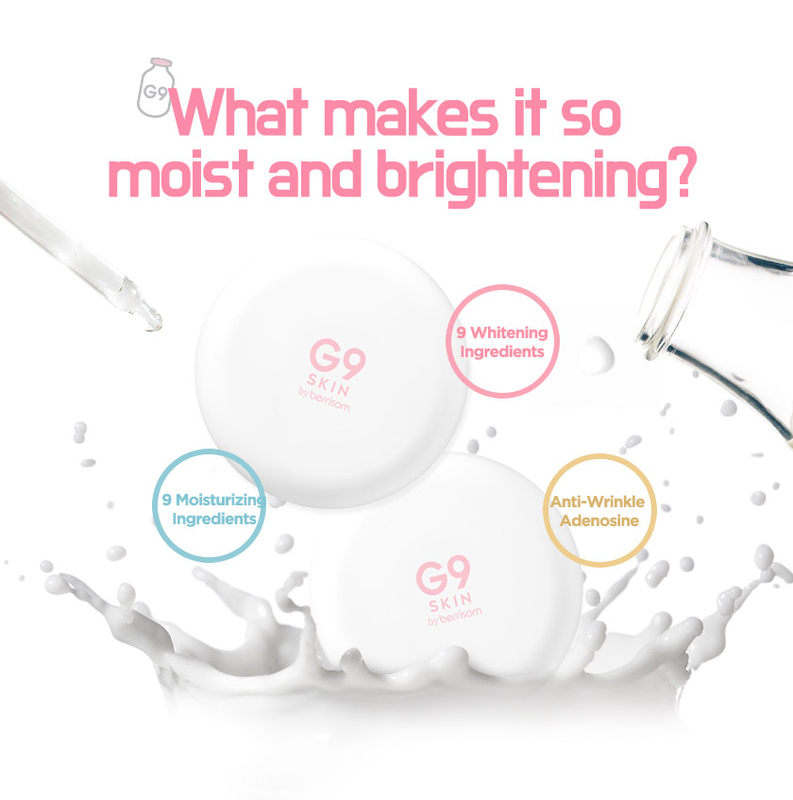 I came across this new skincare brand - G9 skin from Korea, special formulated with anti-city pollution skincare concept, excludes various skin trouble factors, and added effective ingredients for healthy skin. G9 used the 9 powerful signature natural plants ingredients to develop the ranges of product. You will have healthy and beautiful skin after along with these optimised 9 effective guides for your skin trouble. 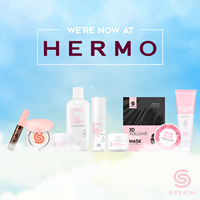 G9 Skin are a relatively new company, and a sister branch of Berrisom. The products are affordable and attractive, with cute packaging. 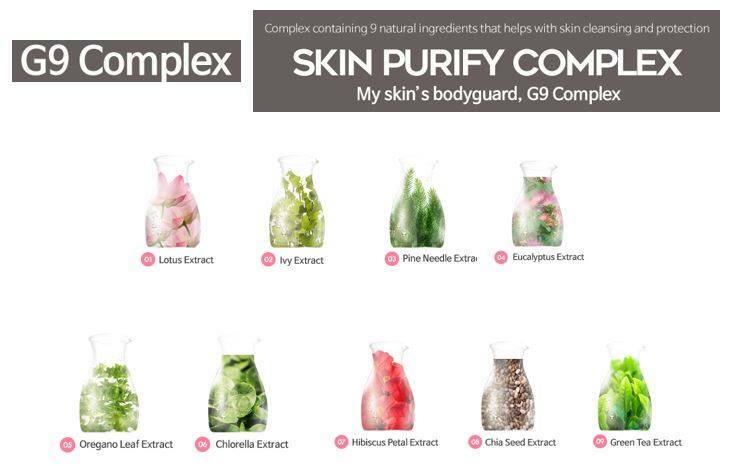 G9 skin were market as the G9 Complex’ which is a combination of 9 different extracts (lotus, ivy, pine needle, eucalyptus, oregano leaf, chlorella, hibiscus petal, chia seed, and green tea) which is supposed to protect “skin exposed to the city’s pollution during your busy and tiring commutes”. 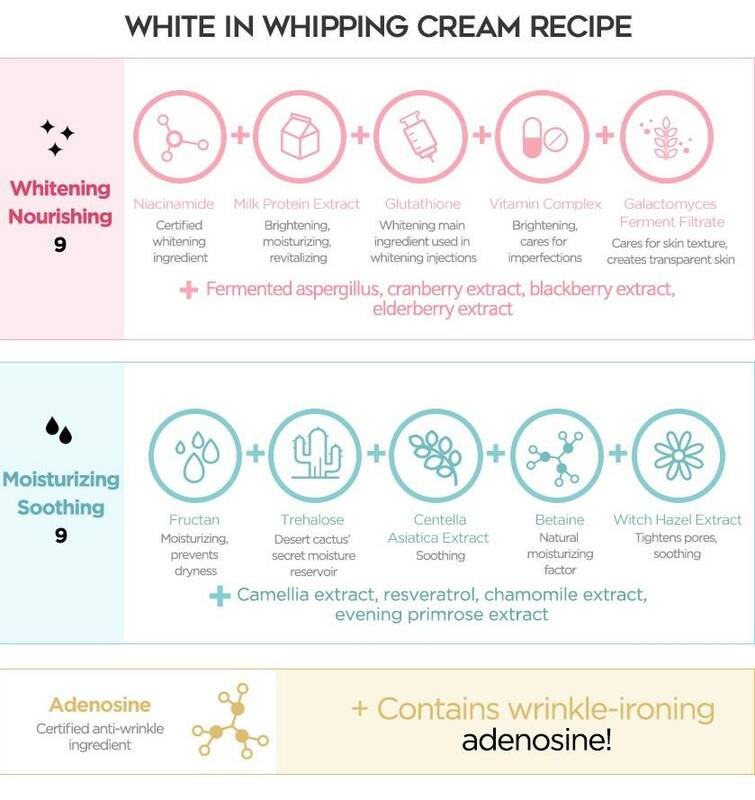 G9 White in Whipping Cream is a tone-up cream which claimed to whiten your skin (long term) and with instant tone up effects. It contain skin blurring effect and also a soft, whipped cream texture.The water-drop formulation is highly moisturizing and is also long-lasting, suitable for those who need to apply cosmetic for long hours. The cream can be used in the morning (on it’s own or as a make up base) or at night – it has a whitening, anti-wrinkle and moisturizing effect, so it claims to be an all-in-one product. This should be used at the end of your routine. 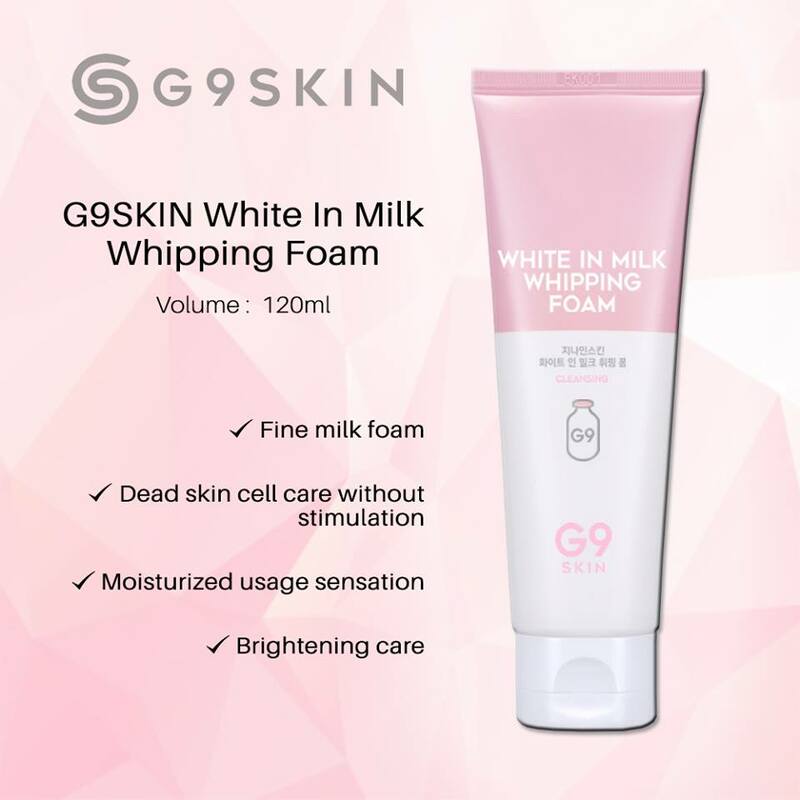 G9 White in Milk Whipping Foam is a pure and moisturizing milky form cleanser. Soft whipping cream texture, fine and ample whipping cream foam to thoroughly remove make up and waste!!! The foam can be use daily (day & night), it contain natural AHA, BHA ingredients that mildly take care of dead skin cell and make it easier to put on make up. 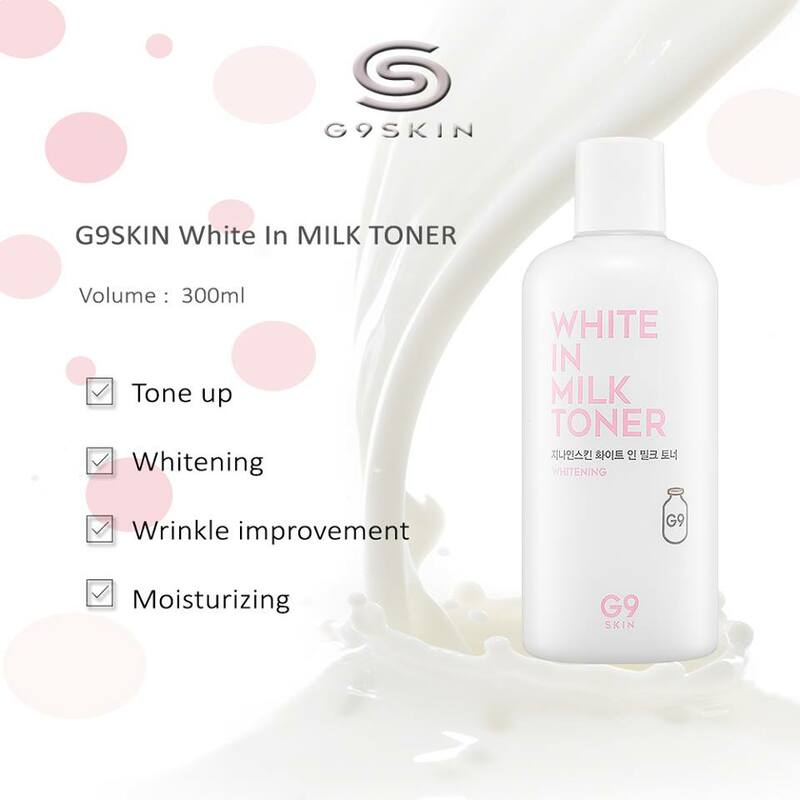 G9 skin Milk Toner is a 4 Ways large size milky toner which could be used as first step of skin care and make up. It is a whitening/wrinkle improvement multi functional cosmetic product. The toner is thick and milky liquid, it is thicker than water, and it slip away when you apply it to skin. It leave inoffensive, light, powdery scent that fades once the toner absorbs. Most of my readers will ask me toner first or serum first? Have you ever wondered what is the right order for this? 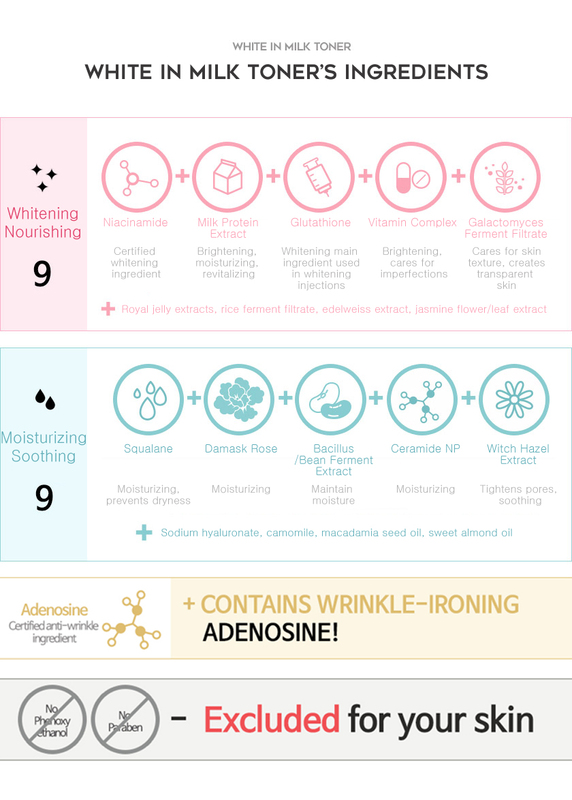 Well, the correct way would be toner first because serum can seal the hydrating benefits from the toner into the skin! Don’t forget to apply some moisturizer after serum to lock the moisture! 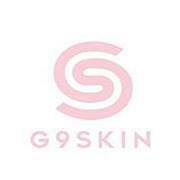 At last but not least, thank you letting me to try G9 Skin brand new skincare products from Korea. Once I applied it, it made me feel refreshing and has milky smell stay on your face. Hahaha!!! Packaging are attractive with pinky and white box. 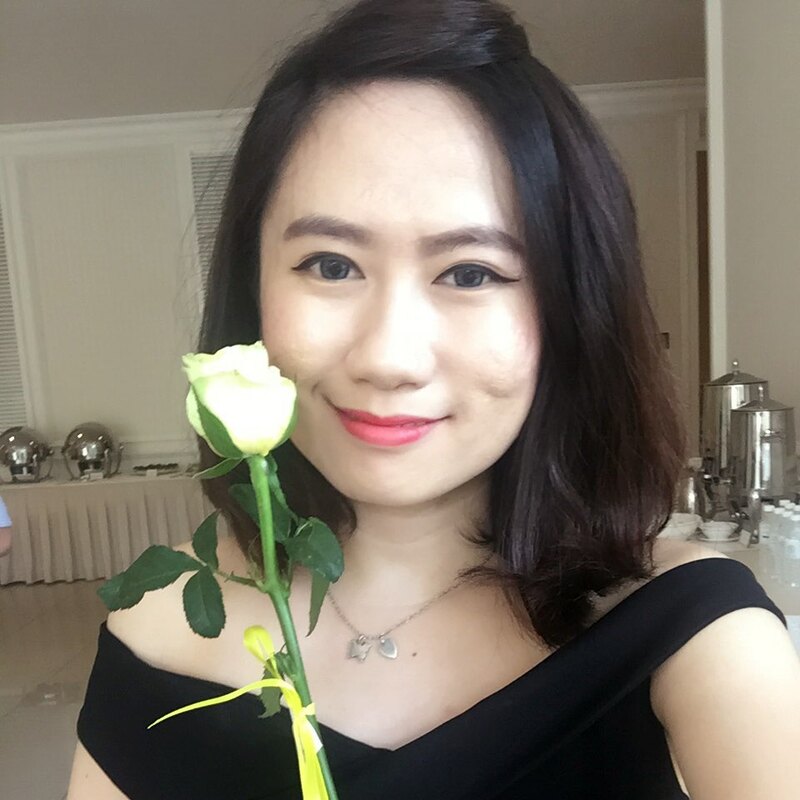 Feel so lovely. I believe girls will fall in love with the packaging design. And see how cute I am wearing the given hairband. Where can you purchase G9 skin? Click the online shopping link below and don't forget to FOLLOW & LIKE their Instagram and Facebook page for more latest new products. Happy shopping everyone!! !